In friday's Guardian there was a piece by Rick Moody about Frank Miller, 300 (2006) and what Moody considered is the strong presence of "crypto-fascism" in present Hollywood cinema. The starting point for the article was apparently Frank Miller's attack on the Occupy Wall Street-movement. Moody is supportive of that movement, and Miller's attack was provocative, not to say offensive. So Moody is legitimately upset. However, instead of just answering Miller he goes on to attack Hollywood, republicans, globalisation and comics, in a sense proclaiming that it is all fascism. Most of Moody's comments about individual films (such as 300, Gladiator and Avatar) are confusing but I will not waste time on that, instead I want to put the article in a larger frame. As for the films, it is stretching it very far to suggest that practically all of Hollywood is "a mindless, propagandistic (or "crypto-fascist") storytelling medium to distract our citizenry." This complaint is also almost as old as the medium itself, but not even in small-sized dictatorships have it been possible to have such a control over the film medium. In any event, what does it mean for a film to be fascist? Are they films with a fascist message, if so what is a fascist message? Are they films using fascist aesthetics, if so what is that, and is it not possible to use fascist aesthetics without having a fascist message? Or do they just have fascist characters, and if so, are they treated critically or celebratory? Which character is the one the filmmakers identifies with? Is the hero a hero or an anti-hero? Which scene in the film is the key scene in terms of any political message? There are many such questions that must be asked, and they might not even be answerable after multiple viewings. It is naive, possibly romantic, to think that a film always has one, clearly defined and indisputable message. So Moody comes across as ill-informed and confusing. This includes his condemnation of all comics as "made expressly to engage the attentions of pre- and post-pubescent boys. At least comic books themselves are so politically dim-witted, so pie-in-the-sky idealistic as to be hard to take seriously". This is just plain wrong, and it is also safe to assume that many members of Occupy Wall Street and other Occupy movements read comics, and love them and are even inspired by them (as can be seen in the popular usage of masks and symbols from Alan Moore's V for Vendetta). Many of the occupy-ers do also in all likelihood like the films Moody is condemning, which would suggest that if they are crypto-fascist the propaganda does not work on the audience, or that the Occupy movement is in fact crypto-fascist too, or possibly that the films are actually not crypto-fascist. Either way Moody's alarm seems unwarranted. But the biggest problem is that if we call Eastwood or Schwarzenegger fascists, even though they clearly are not, what shall we call those that are really fascists? We live in a time with rising ultra right-wing parties and ideas. Racial intolerance and xenophobia seems to be spreading. Neo-nazi cells are discovered in Germany. Anti-immigrants and anti-Muslim parties are winning elections. But with this lazy and irresponsible use of loaded terms such as fascism the words become meaningless and useless when actual fascism is involved. If Eastwood is a fascist, then what was Mussolini? What shall we call Anders Behring Breivik? If anybody is a fascist, regardless of their actual beliefs and actions, then nobody is a fascist. It is a sign of how impoverished the intellectual and political debate is when Obama is said to be a communist or a nazi, when Sarkozy is called a neoliberal and anything to the right of you is fascism. I believe such lazy thinking, such an a-historical approach, is a bigger threat to democracy than Hollywood action films. Once in younger days me and a friend were making up mottos and one was "Even the avant-garde has its conventions!". That was in some kind of protest against the cult of the avant-garde we sometimes felt was running amok in the art world. This blog have been almost exclusively concerned with full-length narrative feature films, with the occasional post on music videos or TV. It just comes more natural for me. But it does not mean that I do not like avant-garde films, whatever that might be. For somebody like me, who in some ways are more interested in the style and the feel of the film than the story, avant-garde cinema is a natural ally. That might be why I could enjoy Transformers: Revenge of the Fallen (2009) so much. I saw it as a procession of short installations, or avant-garde films, instead of a functional narrative film, and thought that it was quite spectacular. A woman is lying on a beach with the waves rolling back and forth. She looks at the sea gulls and then begins climbing a dead tree. Suddenly she is on a long dining table, around which well-dressed people sit, smoking, talking and laughing. She crawls along the table, but nobody takes any notice of her. At the other end of the table a man is playing chess, but when the woman reaches the chess board the pieces start moving around by themselves until one of them falls off the board and down through the dead tree and into the water. The woman follows it. Somewhat later she is in a house where the furniture is covered with white sheets. She walks around, opening one door after another, and suddenly she is no longer in the house but on a rock. She slides down and walks around on a beach filled with stones. She picks up a stone and then another until she reaches the shoreline, where two women dressed in black are playing chess. At the end the woman runs away from everything, possibly terrified, while images we have already seen are shown again. That, sort of, is the "plot" of Maya Deren's silent short At Land (1944), an important milestone in avant-garde cinema. Deren said that films functions on two levels, the horizontal, which is the narrative level, the story, the characters, and a vertical level, which is the poetic level, moods, tone, rhythm. She was much more interested in the vertical level, and she is, in many ways, one of the most important names within the art form she was working in. Deren was born in Kiev, Ukraine, in 1917 as Elenora Derenkowsky. Partly due to the anti-Semitism in her home country the family moved to the US in 1922. There they changed their family name to (the less overtly Jewish) Deren. Her first name she herself changed from Elenora to Maya in the 1940s. (Maya is a Buddhist term meaning that reality is an illusion. It also means mother in Sanskrit.) Between 1930 and 1933 she studied in Geneva, Switzerland, and when she came back to the US she studied, among other things, English literature. By this stage she had been interested in dancing and joined forces with Catherine Dunham, choreographer and dancer. Together they toured America. Deren also met her next husband, Alexander Hammid (born Hackenschmied), and they married in 1942. This is when Deren began making films, perhaps because her husband was a filmmaker, and they worked together. Their first film was Meshes in the Afternoon (1943). A woman returns home on a sunny day and sits down in an armchair by the window. She falls asleep and soon is dreaming strange dreams. She pulls keys out of her mouth, she runs on staircases that swings from side to side, knives appears out of nowhere and a mysterious creature dressed in black appears, with a mirror instead of a face. Everything is happening several times, although we small changes each time, and she is confronted by her own double. The film, as Deren's own later work such as At Land, problematized the self, and concepts of time and space. Hammid and Deren moved beyond conventional logic and continuity and they criticised bourgeois conventions and the "invisiblicing" of women. This was done with stylish and ambitious camera work. In the late 1940s Deren had become interested in Haiti, especially the Vodou culture and ritual dancing, and this occupied a large part of her final years before she died of a brain hemorrhage in 1961, only 44 years old. In an evocative gesture worthy of her life and career her then husband, composer Teiji Ito, spread her ashes over Mount Fuji in Japan. Besides making art, Deren was also writing and thinking about it, and its rules and obligations. She was of the opinion that film was a medium of its own and that it should use its opportunities to break open time and space. In a film a person can open a door and move from one room to a completely different space or time, and this way of going against the restrictions of reality was central in Deren's work. In her unfinished dance film A Study in Choreography (1945) a man is dancing in the woods, then through a cut he is suddenly in a studio, only to be dancing at a museum next, among statues and busts, before he is back in the woods again. Another example is the very beautiful The Very Eye of Night (1958) where students from the Metropolitan Opera Ballet School have been filmed and then the negative has been superimposed over the star-clad sky, making it look like they are dancing on the Milky Way. It is natural enough to make the connection to surrealism, but Deren did not like that connection. Surrealism for her was something narcissistic and narrow-minded. She advocated an active and all-encompassing art, where the artist and each individual were part of a larger whole. She wrote: "He becomes part of a dynamic whole which, like all such creative relationships, in turn, endow its parts with a measure of its larger meaning." Deren was an active socialist, a Trotskyist, and her thoughts on the individuals place in a larger collective ties in with her socialist ideas. But she was critical of the situation in the Soviet Union, which she called a "feudal industrialism". She felt that an artist had a responsibility to act ethically, and that aesthetics and ethics are intertwined. When you express yourself aesthetically you are also making an ethical statement, or should do so at least. It is the artist's responsibility to be aware of the larger world, its problems and conflicts, and deal with this in their art. For Deren this was a moral imperative. "If cinema is to take its place beside the others as a full-fledged art form, it must cease merely to record realities that owe nothing of their actual existence to the film instrument. Instead, it must create a total experience so much out of the very nature of the instruments as to be inseparable from its means. It must relinquish the narrative disciplines it has borrowed from literature and its timid imitation of the casual logic of narrative plots, a form which flowered as a celebration of the earthbound, step-by-step concept of time, space and relationship which was part of the primitive materialism of the nineteenth century. Instead, it must develop the vocabulary of the filmic images and evolve the syntax of filmic techniques which relate those. It must determine the disciplines inherent in the medium, discover its own structural modes, explore the new realms and dimensions accessible to it and so enrich our culture artistically as science has done in its own province." The quote from Deren about the "dynamic whole" is from her essay An Anagram of Ideas on Art, Form and Film. The quote from Agee is from a review in The Nation in 1946 and is reprinted in Agee on Film. The Maya Deren archives are at Boston University. Here writings on cinema and art are collected in Essential Deren: Collected Writings on Film. Czech New Wave, French New Wave, New Australian Cinema. To use the nation as an organising principle when talking about films and film history is to some extent straightforward and uncomplicated. Writing a book about the film history of Chile is a perfectly legitimate subject. Nations and nationality clearly matters. But how and when is not always clear and it is easy to become lazy. The nation is an external definition we use when discussing films, it does not come from the films in themselves, such as colour or camera movements. Sometimes we are not even aware of a film's nationality. But we run the risk of being essentialistic, when the nation is deemed to be the cause and effect of the style, theme and character of a given film. Capricious Summer (Rozmarné léto1968) is like it is because it is a Czech film. Or Bergman's films are said to be like they are because they are Swedish, or Scandinavian. But could not similar films have been made in any other national context? Does the perceived bleakness and austerity of Bergman's films make them more Swedish than films that are lightweight and colourful? If the answer is yes to the first question and no to the second, than how central is Bergman's alleged Swedishness? To be precise, is there anything other than the political borders that make us talk of national cinemas. Does a nation have a specific soul that comes across in the films made in that nation? It is very common to hear people say "Well, that film doesn't capture the true Sweden (or Scotland, or Senegal, or South Korea and so on)." as if there was such a truth to be captured. I do not believe there is, and even if there was such a truth, who would to decide what it is? A governmental committee? A vote among the readers of a popular tabloid? An additional question is which nation we are talking about. When (self-defined) Algerians make films in France about Algerians subjects, or Greeks in Australia, should they be discussed as part of French and Australian cinema, or Algerian and Greek, or both, or neither? There are no obvious answers to these questions, but as long as the reason for one view being used over the other is clearly spelt out then that problem can be contained. Also, when a state has several nations within its borders, placing all films made in that state under one nation-heading becomes politically (in-)sensitive. My previous post about Peter Weir mentioned Green Card (1990). It is often called an American film but it is actually a French/Australian co-production, with an Australian crew, set in New York, with a French leading actor and an American leading actress. If discussing it in a national context, which context should we choose? But there is another form of nationalism, the now so popular term transnationalism, which is more suitable when discussing Green Card, especially since the theme of that film concerns migration, immigration and different nationalities. 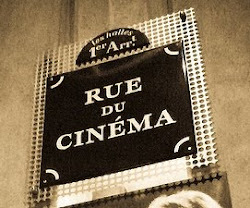 Even though it has become popular in academic circles to talk about transnational cinema the word in itself does not signify anything important, it is just a tool. Possibly most films are transnational, in that they have cast members from different countries, crew members from different countries, are co-productions, are bilingual, are shot in different countries, and so on. Whether or not the transnational aspect is interesting or relevant depends on the specific case. In the 1940s and 1950s a number of Swedish/Norwegian co-productions were made, shot in two versions, one in Swedish and one in Norwegian. Here it would be interesting to analyse the twin-productions and see to what extent the different versions were tweaked to become more Swedish and Norwegian, or if they were identical besides the language spoken. Another interesting topic is the transnational-ness of Hollywood blockbusters, and how they, in order to be marketable all over the world, in different ways try to engage with the world outside the US. That could involve shooting on location in China and/or having a multi-ethnic cast and/or downplaying differences between the US and other countries. The examples I gave above, of films by Algerians in France and Greeks in Australia, could be discussed as transnational rather than national. In my thesis on Hasse Ekman I also write about Ernst Lubitsch. Both as an inspiration for Ekman but also as an interesting transnational filmmaker. Lubitsch was born in Germany, this is where he made his first films, and then in the early 1920s he moved to Hollywood. But only in person. Most of his films were still set in Europe, sprinkled across the continent and Britain, and sometimes they take place in some kind of Mitteleuropa fantasy. These films are often based on plays and stories of European origins. To establish whether the themes and messages of these films are American, German, Polish, French, British and/or Hungarian would require some deep studies of nationhood and nationality and would still probably only lead to reductiveness and simplifications without having made us any the wiser. In the end, maybe their nationality is primarily Lubitschland. As Dilys Powell pointed out in the early 1940s, questions of authorship and nationality are intimately linked, but so is authorship and transnationalism. Weir, Phillip Noyce, Ang Lee, Claire Denis and Hou Hsiao-Hsien are some current filmmakers where transnationalism becomes a central part of their authorship. But transnationalism does not automatically mean that the national aspects disappeas. It is often a case of competing national stories in the films, rather than a genuine blending of them, or disappearance of them. However, when nationality ceases to matter, I would like to use the term a-national cinema. Films in which the national setting is of no importance, films where the story might have taken place anywhere, or possibly nowhere. Many films might be said to fit this category. The fact that they are made in a particular country is of course unquestionable, but if that country does not matter, neither story-wise nor theme-wise or otherwise, then I would suggest they are a-national. In my thesis I am arguing that many of Hasse Ekman's films can be called a-national. That is also connected with his distinct (positive) urbanity, which makes him somewhat unusual in Swedish cinema. There are no hymns to the Swedish countryside or the Stockholm archipelago, which otherwise tends to be a central feature of a majority of Swedish films, including several of Bergman's films. But that is a discussion for a later post.